Lauren Wilson, Director of Admissions at Florida Polytechnic University offered the following as a guest post. I hope you enjoy it. Thanks Lauren! New developments in the field of engineering owe a large debt to engineers with degrees from the fields of science, technology, engineering and mathematics (STEM). These developments are making huge strides for organizations across the board, but the environmental, medical and manufacturing industries in particular. Here are four examples. Prototypes are a key part of turning a concept into a final product, but creating one was labor-intensive before the advent of 3D printing. 3D printing allows mechanical engineers to put their imaginations to the test and build 3D visual representations much faster than physical prototypes. In addition to speed, 3D printing is also more cost-efficient and easier to use than physical prototyping. Nanotechnology is changing the way mechanical engineers work by opening up the possibility of manufacturing devices on the molecular and atomic level for custom applications. These devices, which are designed to reduce weight, volume and power demands, carry the added benefit of greater sustainability. For example, a nanotechnology engineer may work in the environmental industry testing different pollutants in the world’s food supply on the cellular level. Successful research would reduce these pollutants on a nanoscale and lay the groundwork for a more sustainable future. STEM-focused curriculums provide an advantage in nanotechnology, because students work with cutting-edge technology to find solutions for real-world challenges. STEM universities also quickly adapt to industry changes to ensure best practices are taught for creating these materials. Electrical engineers focus primarily on up-and-coming fields in the engineering industry, including grid decentralization. Grid decentralization is gaining popularity from Colorado to Denmark as a way to reduce the environmental impact created by its communities. Unlike conventional power stations, grid decentralization technology uses renewable energy sources like solar and wind to create power. STEM studies have helped cities and countries transform the way they collect power by thoroughly covering topics ranging from micro-grids to “smart” grids. More importantly, these studies put creative power directly into the hands of students with hands-on projects, internships and real-world challenges. Lean manufacturing has dramatically reshaped the roles of industrial engineers over the past decade. Driven by STEM studies, lean manufacturing is focuses on eliminating waste from production processes to create a more agile system. With a primary focus on making systems more sustainable, faster and cost-effective, industrial engineers developed this principle based on studies in STEM subjects including: multifunctional materials, nanotechnology, supply chain logistics, Six Sigma and system analysis. Universities offering industrial engineering degree programs take a pragmatic approach to learning in the classroom. Students can expect to concentrate on applying the principles of design, analysis and manufacturing to real-world challenges to improve mechanical systems. Biomedical engineering fuses engineering principles with biology to build life-saving medical technologies such as artificial organs. Although biomedical engineering has had a long history, the most recent groundbreaking technologies are a result of advanced education in STEM subjects. Artificial hearts and iPills, for example, are two biomedical engineering breakthroughs that have restored hope for critically ill patients. Biomedical engineering students in STEM learn how to develop and maintain improved medical systems, and perform research on artificial organs, implanted devices, prosthetics and radiation therapy. STEM focuses solely on the four subjects used most frequently by engineers, and it essentially guarantees that more breakthroughs and improvements are to come. With the help of a STEM education, engineers can apply best practices for reducing energy consumption, minimizing environmental impact and increasing efficiency. From 3D printing to nanotechnology, there’s no denying the future of engineering is bright and full of potential. 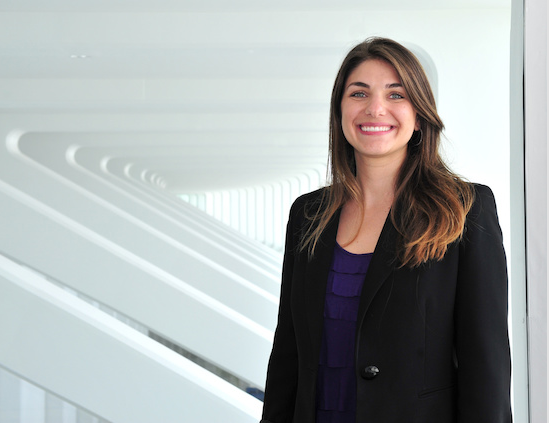 As the Director of Admissions at Florida Polytechnic University, Lauren Willison is responsible for supporting the Vice Provost of Enrollment in managing recruitment efforts. She develops and coordinates on- and off-campus events, as well as manages the campus visit experience.